Are you tired of all the buzz about keywords and just want to know the lowdown on proper keyword optimization? Here are some simple steps to follow so that your pages will finally get on the first page in the search engine results. Begin by selecting the keyword phrase that you want the page to rank well for in the search engines. Most often, the keyword optimization is organized like this: main page is optimized for the most general keyword or phrase, the categories are optimized for more specific keywords and the pages or posts are optimized for very specific keyword phrases. The more specific a set of keywords tend to be, the longer the keyword phrase gets. Phrases with 3 or more words are also known as Long Tail Keywords. These are good to target because they return more specific, targeted traffic. Another search engine optimization strategy to use with long tail keywords is to include shorter keyword phrases within your original long tail keyword phrase. An example might be this phrase for a dog grooming site: ‘starting an organic dog grooming business.’‘ While the page is optimized for the entire phrase, you may want to also break out and use the phrase ‘dog grooming business’ within the content and rank well for the shorter phrase as well. When using keyword optimization to get ranked and found by the search engines, have the selected search engine keywords strategically placed on each and every individual page of the site. The keyword phrase should be in the file name, the title tag, the text header, sub-headings, within the content, within the Meta description tag and in anchor text of incoming links. To keep it simple, when you add your keyword phrase within the content of the page, you will want to include it in the first and last paragraphs and at least once in the middle. This is all that is needed to have the keyword phrase properly placed within the page content. Placement is important, but it’s not necessary to go overboard. 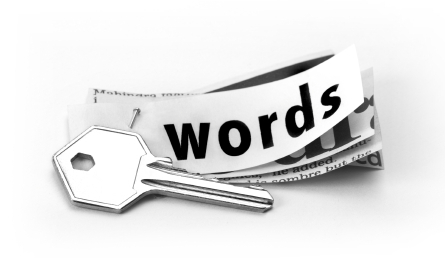 Make sure that the use of the keyword phrase sounds natural and flows with the rest of the information given. As far as the title tag, and file name, you have to think about the trail from the search engines to your site. When people see your link in the search engine results, what is the first thing they see? They see your title tag and the URL. Make sure that it is clear what they will be seeing when they click on either link by including the keyword phrase in those places. This same concept applies to the use of the keyword phrase in the text header, Meta description and within the content. Google either uses the supplied text or will pull its own text for use with the listing that best matches it. A good title may inspire your target audience to click through, or it may be the description that prompts the call to action. Better safe than sorry, so make sure both are properly optimized. In the end, the main thing to focus on with keyword optimization is to make sure that the content of your page properly matches the keyword phrase that is being targeted. Let your target audience know exactly what to expect when they decide to click on any link to your site. When they find what they have been looking for, they are more likely to come back, and you will have accomplished your goal of increasing traffic. P.S. Have Keyword Optimization questions? Feel free to post them in the comments section below.